BT Sport Films has confirmed the next instalment in its award-winning, acclaimed films series, Shoulder to Shoulder, which will premiere at 10pm on Friday, 12 October, on BT Sport 2. Fifty years since the start of The Troubles, the film captures the remarkable history of the Irish national rugby union team, which despite violence, opposition and partition on the island of Ireland, has brought together players and fans from two separate countries and united them to compete as one, on and off the rugby pitch. 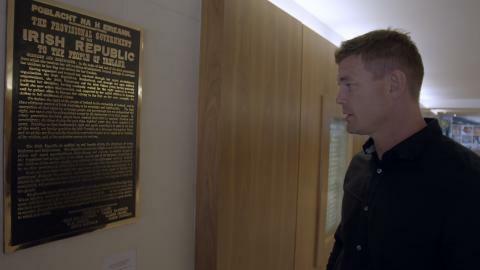 BT Sport ambassador, and former Ireland and British & Irish Lions captain Brian O’Driscoll, takes viewers on a powerful journey as he explores how Irish rugby manages to navigate and nurture a successful team through the years of violence that have claimed the lives of more than 3,500 people and divided communities. The island of Ireland has been divided not just on a map but by politics, history and religion. However throughout it all, the Irish Rugby Union has continued to be the governing body of rugby, leading to the remarkable situation of players from two countries competing as one. One of the Darkest Hours: 1972 was one of the bloodiest years of The Troubles and rugby was affected. Visiting international teams were cancelling trips to Dublin in 1972 and the future of the Five Nations Championship was in doubt. One man was determined the violence would not win the day. Willie John McBride – a protestant from the North – took matters into his own hands. He rang his friend David Duckham, the English winger, and implored him to come to Ireland to see the situation for himself, a tactic which paid off. On the day of England’s visit to Dublin the following year (1973) the team received one of the most emotional standing ovations Lansdowne Road has ever experienced. Tragedy: On April 1st 1987 three stars of Irish Rugby came within inches of death following an explosion. Nigel Carr, Phillip Rainey and David Irwin were three friends and rugby aces from Ulster. On that day they were making the journey from Belfast to Dublin to join up for a training session ahead of the inaugural Rugby World Cup. As they crossed the border a bomb exploded. They were not the targets but the three players felt its force, emotionally and physically as it would eventually end Nigel Carr’s playing career. Their quiet dignity earned respect north and south of the border. Croke Park 2007: In 2007 O’Driscoll led his Ireland team out to face England in a Six Nations game, an historic and incredibly emotional moment. Croke Park is the home of the GAA – the Gaelic Athletic Association. It was also at the centre of one of the most violent days in Irish history, Bloody Sunday, the 21st November 1920. After the IRA killed twelve British Intelligence agents and two civilians that morning, British forces responded by opening fire on the fans gathered in the stands for the All Ireland Gaelic football final. Fourteen civilians, including one of the players, died. Add to this the GAA’s rule 42 banning ‘foreign sports’ from GAA property, and it is hard to believe that even in 2007 the “garrison game” of rugby was allowed to be played. The respect ‘God save the Queen’ was given before kickoff is one of the most stirring moments of the documentary. Hugo MacNeill - Ireland player who worked with Ringland on the peace international. David Irwin - Ireland player who was caught up in the 1987 Killeen bomb, pulling his teammate from the wreckage. Golazzo: The Football Italia Story, which captures the essence of a unique period for football fans in the UK and Ireland, a period in which Italian football became hugely popular in the UK following England’s run to the semi-finals at the 1990 FIFA World Cup in Italy. Rocky & Wrighty: From Brockley to the Big Time, an in-depth look at the extraordinarily separate but intertwined stories of Arsenal legends Ian Wright and David Rocastle. Shoulder to Shoulder is the first of several new films (details to be announced soon) that customers can look forward to this season on BT Sport, which already offers an exciting line-up across multiple platforms. Also this season: BT Sport becomes the sole home of the UEFA Champions League, will offer more matches than before from the Emirates FA Cup, continues with exclusive coverage of MotoGP, and, for the rest of 2018 is the home all of the UFC. 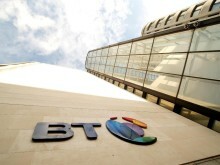 Rugby fans can also enjoy the best action as BT Sport becomes the home ofdomestic and European club rugby, while boxing fans can look forward to a top-class line up of fight nights featuring boxers from the Frank Warren stable.